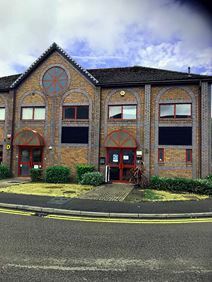 Office Space - Whetstone, Leicestershire. This self-contained business space offers 800sqft of leased space with a minimum term of three years. The space is air-conditioned, comes with three parking spaces and allows for 24-hour access. Location-wise, the centre benefits from easy access to Junction 21 of M1 and the M69 Interchange. The impressive centre is also less than 10 minutes drive to both Blaby town centre and Fosse Park Shopping Centre.